VM-540 Sonde Locator | M.J. Friedl & Associates, Inc. The VM-540 Sonde Locator is designed for reliable daily use in hostile environments. The VM-540 is compatible with many Sondes & CCTV systems manufactured by others as well as those from Vivax-Metrotech.The VM-540 Sonde Locator consists of a receiver only. 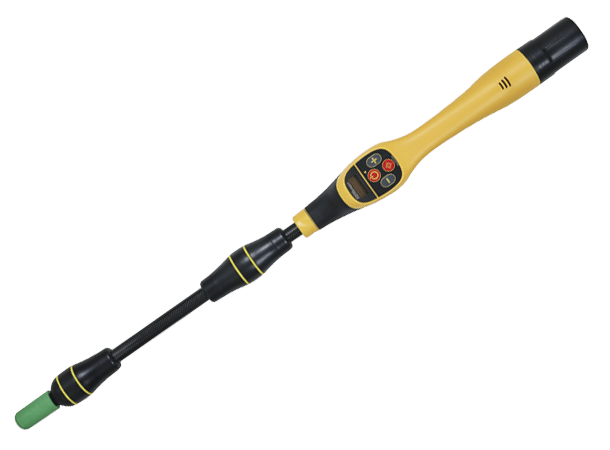 It is equipped with 60Hz (passive), 512Hz & 33kHz for sonde locating & push-button depth. The 512Hz frequency is ideal for most plastic pipe and sewer camera locating. The higher frequency 33kHz works with 33kHz sondes. Each VM-540 receiver includes a carry bag. Frequencies: 60Hz (passive), 512Hz & 33kHz (using sondes).